If there is one thing I love doing in Morocco, it is for sure shopping for traditional Moroccan jewelry. Yes, yes, and yes! 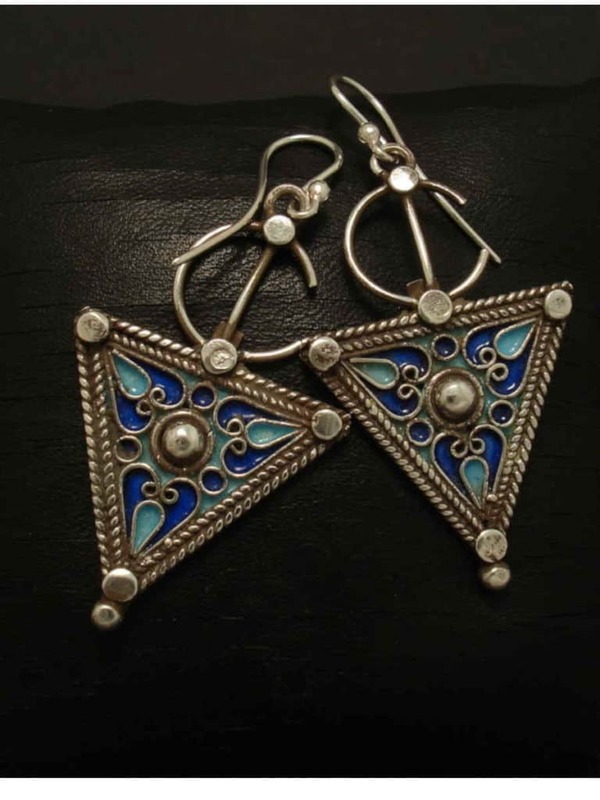 I am a Morocco jewelry fan and I have a great fascination for Moroccan jewelry designs and the history behind each Moroccan ethnic jewelry piece. 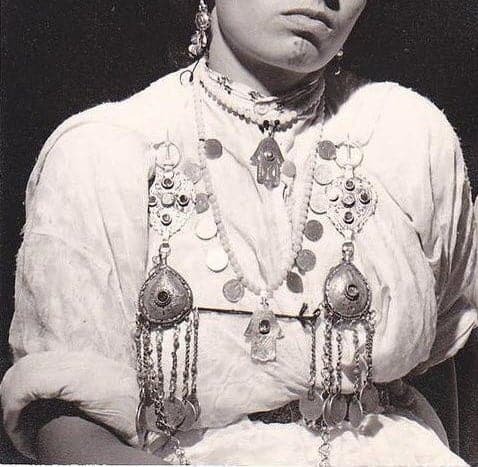 My love for Moroccan jewelry started in my childhood. I used to accompany my mother and aunts regularly to the Medina market to look for authentic jewelry pieces. That was kind of their hobby: See what’s new, what the current price of gold and silver was, and look for beautiful pieces with great deals. 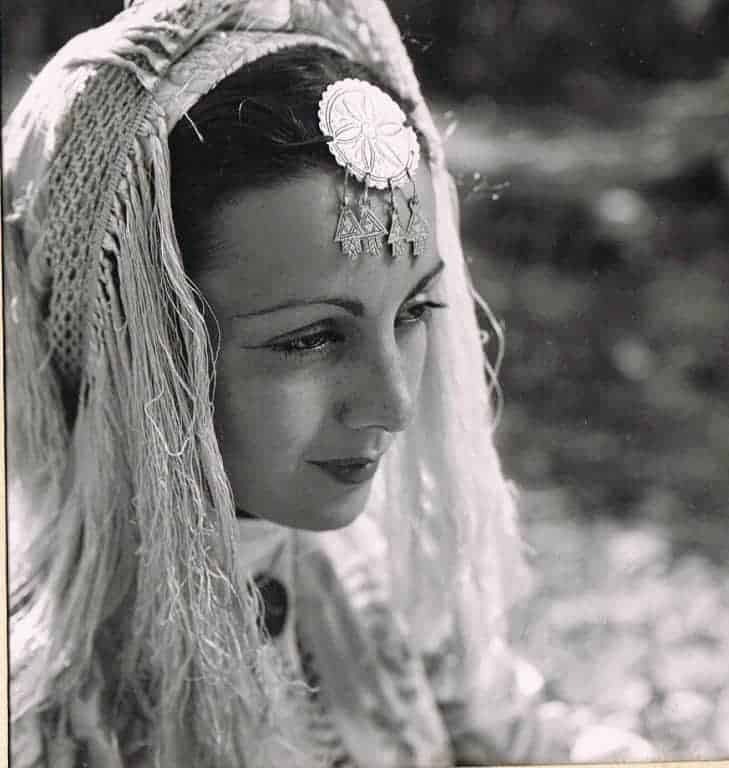 Banks and investing weren’t very popular at the time, and women used to invest their money in authentic Moroccan jewelry pieces made with gold and precious stones. Then, they would either wear them on a daily basis or store the priciest pieces and keep them for special occasions. 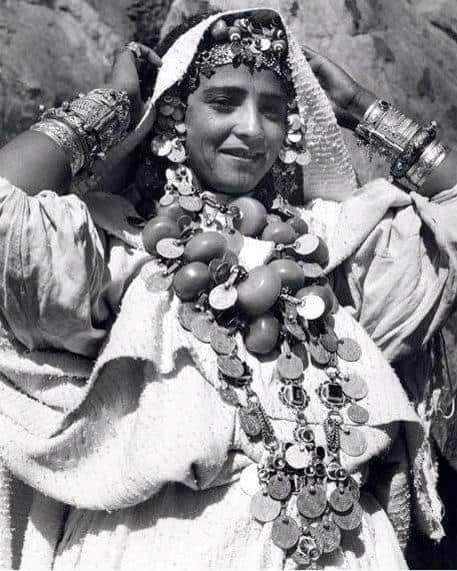 For the connaisseurs, it is possible to guess where a Moroccan woman is from just by looking at her jewelry. 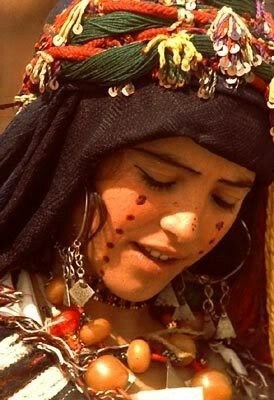 In fact, each region of Morocco has it’s own jewelry style and emblematic pieces. 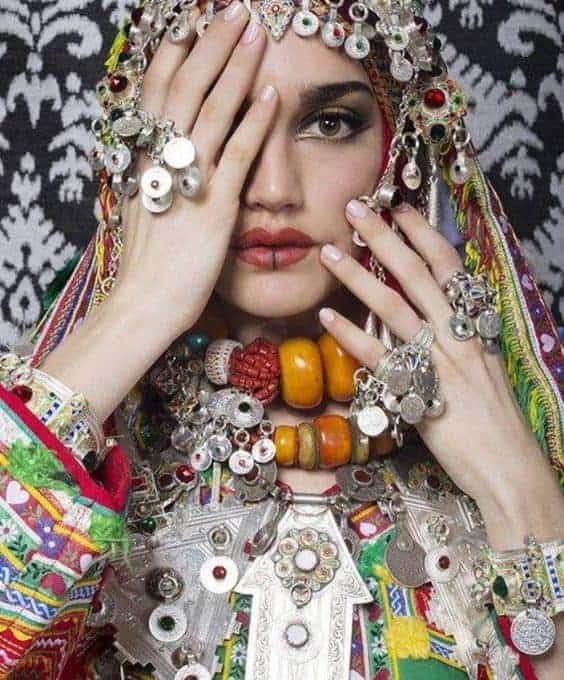 While wearing heavy jewelry sets is no longer common in Morocco, except in marriages and on some special occasions, Moroccan women still have a special attachment to Moroccan jewelry pieces. They practicularly love to experiment, mixing traditional pieces with urban clothing. Finding good Moroccan jewelry pieces can be overwhelming, especially if you are not familiar with Moroccan jewelry styles and materials. Sometimes I look on the internet and I am surprised to see Indian jewelry marketed as Moroccan. Sellers are smart and know what the customers are most looking for. The same thing happens in Morocco, with more and more Indian and Chinese products entering the Moroccan market. I was recently in Morocco and I was chocked with the many not-so-Moroccan products. Luckily, if you shop mindfully, you can acquire Moroccan jewelry pieces that might last you for decades. They might even stay in your family for generations. My mother has two jewelry pieces that belonged to her grandmother. They are extremely gorgeous and still in perfect condition. Luckily, you don’t have to travel all the way to Morocco to get beautiful and authentic Moroccan jewelry pieces. There are many talented designers that excel in the matter and that offer handcrafted and high-quality products. The prices of Moroccan jewelry can sometimes be high. 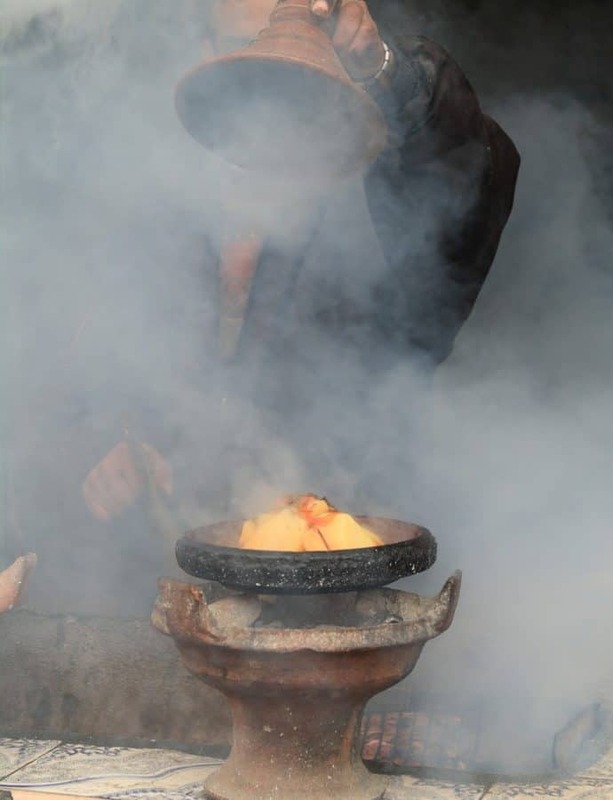 In fact, traditional Moroccan jewelry uses precious materials, like gold, amber, and silver. You can also find great and affordable replicas using cheaper materials. It all depends on your budget and if you want to keep your Moroccan jewelry piece for a long time. The good news is, if you search thoroughly, you can find good quality Moroccan jewelry pieces at very reasonable prices. For me, a reasonable price is when I know that a similar jewelry item will cost me nearly the same in Morocco. I will try to share with you some of my findings as we go. If you have a limited budget, I would recommend you focus on silver pieces. Silver costs way less than gold and is still a luxury material that will last you forever. It’s hard to find authentic Moroccan silver bracelets online. They are super rare and some sellers take profit of this rarity and sell them at really high prices. If you can’t go to Morocco soon, I recommend this Moroccan boutique on Etsy. Each item they sell is unique and vintage, and the prices are really attractive, sometimes way cheaper than what you can get in Morocco. 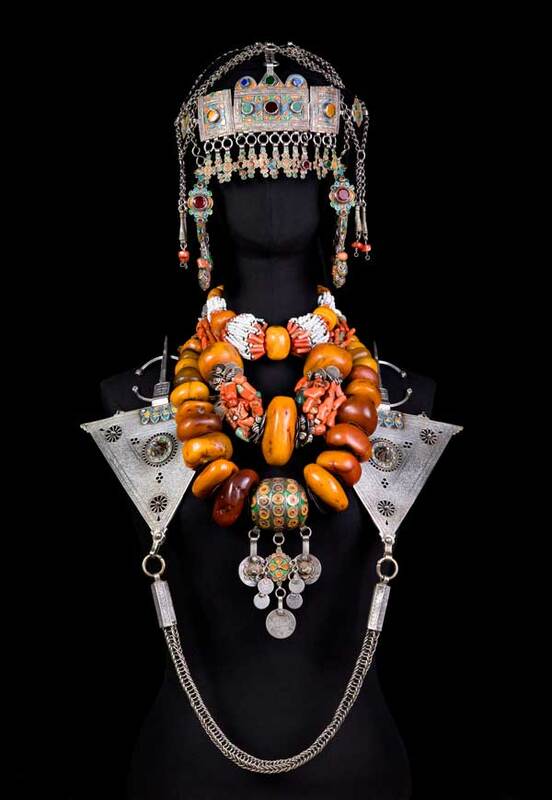 Another emblematic Moroccan Berber jewelry piece is the Berber necklace. Berber necklaces are perfect if you like rustic pieces and want to add a pop of color to your jewelry collection. Authentic Berber necklaces use precious stones like coral and amber. Real amber and coral are expensive, so Berber necklaces made with these materials might cost hundreds or thousands of dollars. 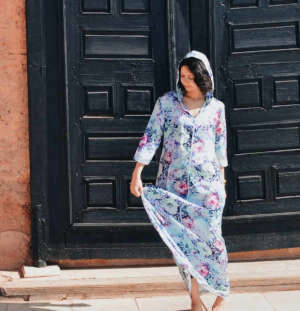 I would recommend purchasing them from Morocco from reliable sellers, and if you are not going to Morocco any soon, you can find cheap & good quality replicas online. Another jewelry piece to look for is the classical and cherished hamsa, also called Khamsa, theeye of Fatima or the Hand of Fatima. The Hamsa is a Moroccan-Jewish symbol representing a hand, believed to protect the one who wears it from evil and bad people. 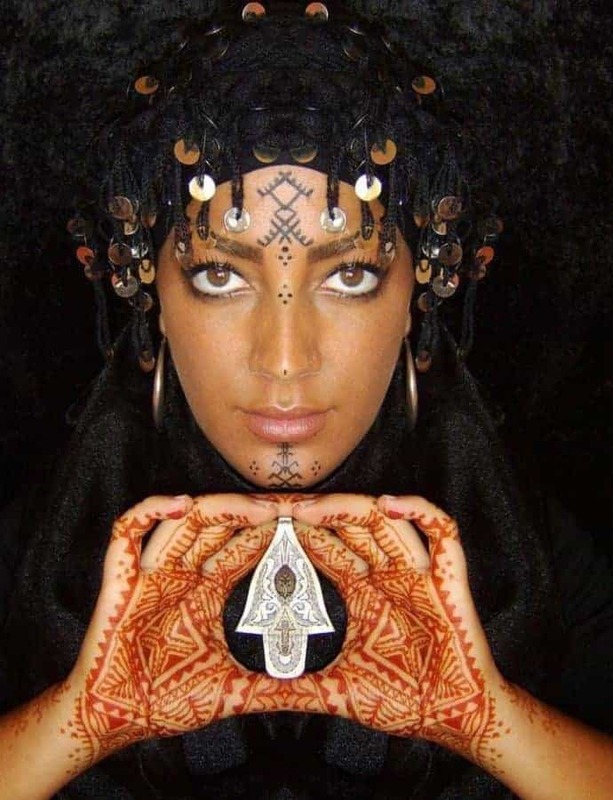 You can find the Moroccan hamsa in almost every jewelry item: Hamsa necklaces, hamsa pendants, bracelets, earrings, .. hamsa jewelry pieces are a real classic and most Moroccan women have at least one piece featuring this protecting symbol. 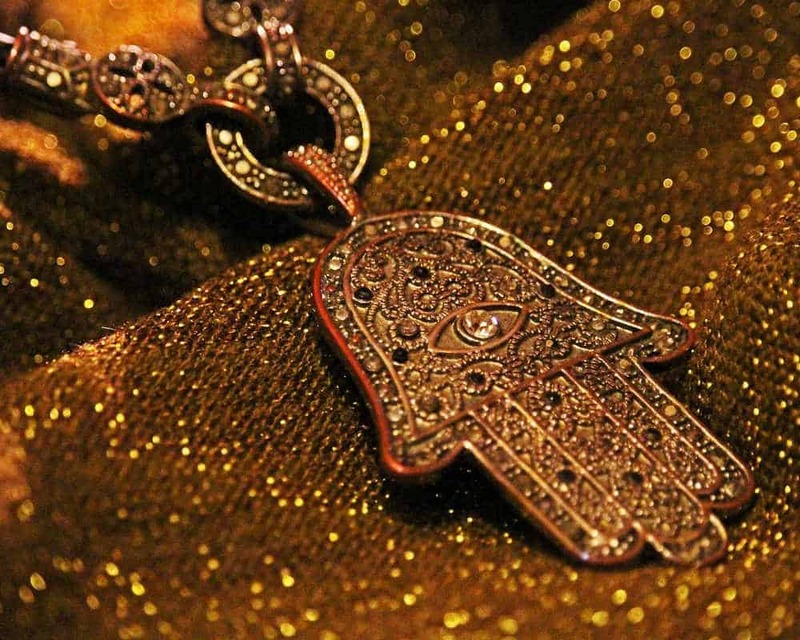 Because Jews and Moroccans have their history entwined (many Jews are of Moroccan origins), the Moroccan hamsa is still used by many Jewish jewelry designers. 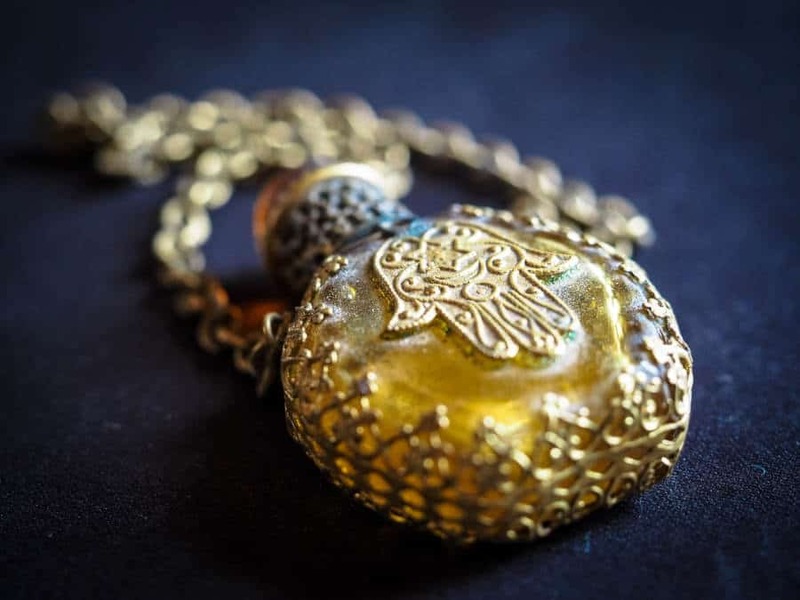 The designs are very similar to the ones you can find in Morocco, and often the piece will be handcrafted, made of gold or other precious materials, with the same precision and top-notch quality. Hamsa Jewelry is now becoming very trendy, with many celebrities found of its mystical symbolism and beautiful designs. Prices can get really high, reaching thousands of dollars. Luckily, you can find elegant, valuable Hamsa jewelry pieces at a very reasonable price. In Morocco, the best place to purchase authentic Moroccan Jewelry is in the Medina, the city downtown. This is true especially for the Medinas of historical cities, like Marrakech, Fez, Rabat, Casablanca, and Tangier. 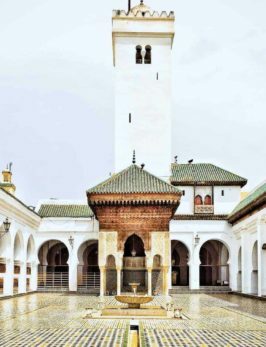 Here I talk about the best places to visit in Morocco, and some of the Moroccan Medinas are part of the list. In Morocco, Medinas are the heartbeat of Moroccan cities. It is where locals shop for everyday necessities. Medinas are loved by tourists as they offer a great immersion in Moroccans everyday life. They are also the perfect place to shop for Moroccan traditional items. In most historical Moroccan cities, Medinas are organized by themes. 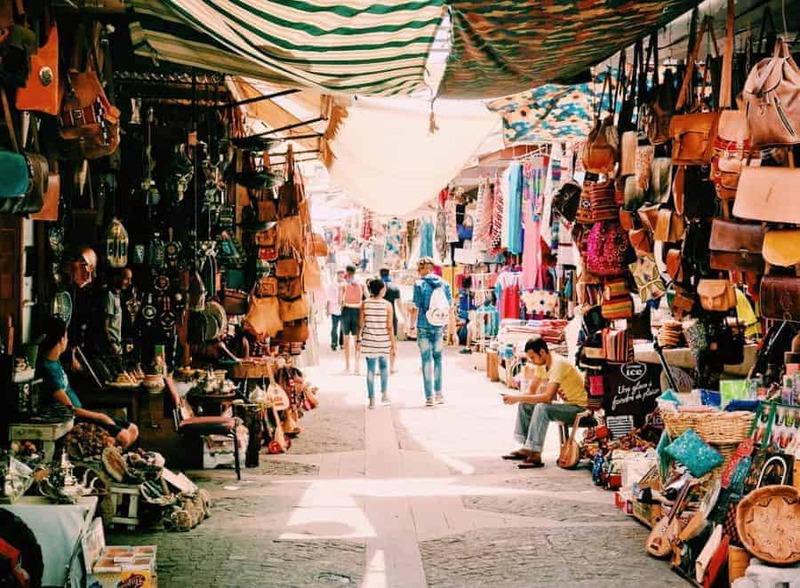 In fact, there is a section for each shopping need: Moroccan jewelry, spices, rugs, traditional clothes and so one, making shopping easier and comparison possible. When shopping in the Moroccan Medina, it’s important to know the rules to play with. In fact, prices are not regulated and the price you will pay at the end will depend on your bargaining capabilities and your knowledge of the items you want to purchase. 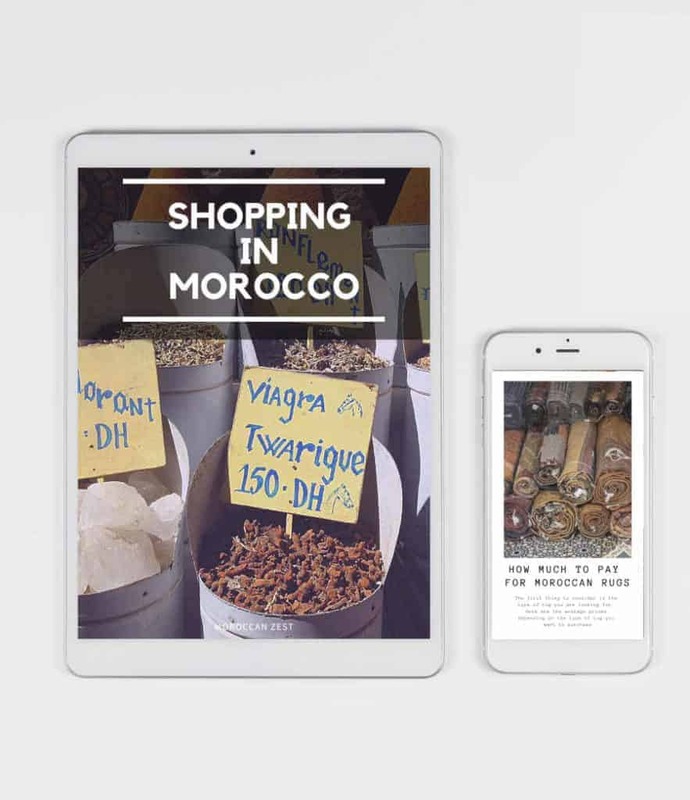 So try to learn as much as possible about shopping in Morocco. I love the authenticity of these jewelry pieces. 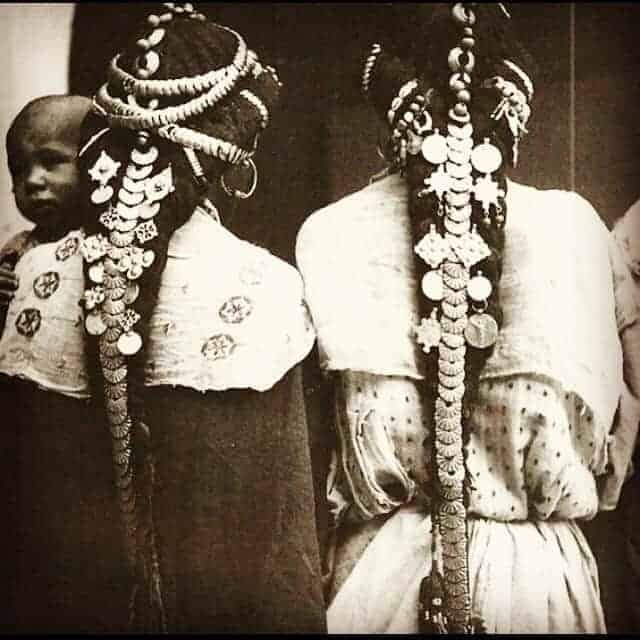 They give style but at the same time, represent a whole interesting culture. I’ve been to Morocco and authentic jewelry pieces were extremely expensive, I didn’t know how to bargain so I came back with only an imitation necklace, which was still beautiful, but a silver / gold one would have been a real long term investment. I am visiting the country in May and already have your shopping ebook. thank you so much for the great tips!